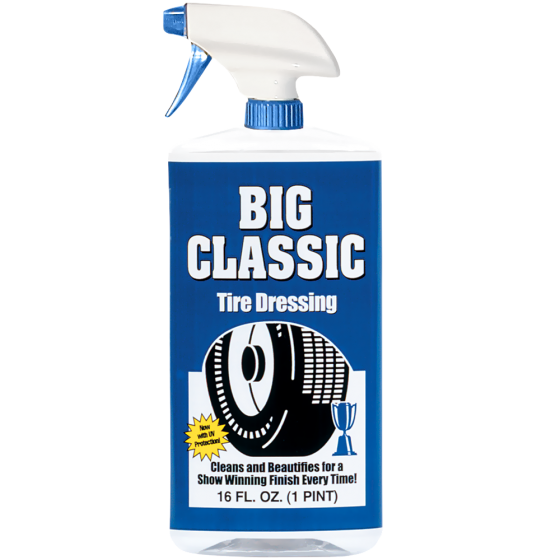 Our Big Classic Tire Dressing gives tire a great looking satin sheen. This Tire Dressing has more natural look when applied and is safe for the tire rubber. 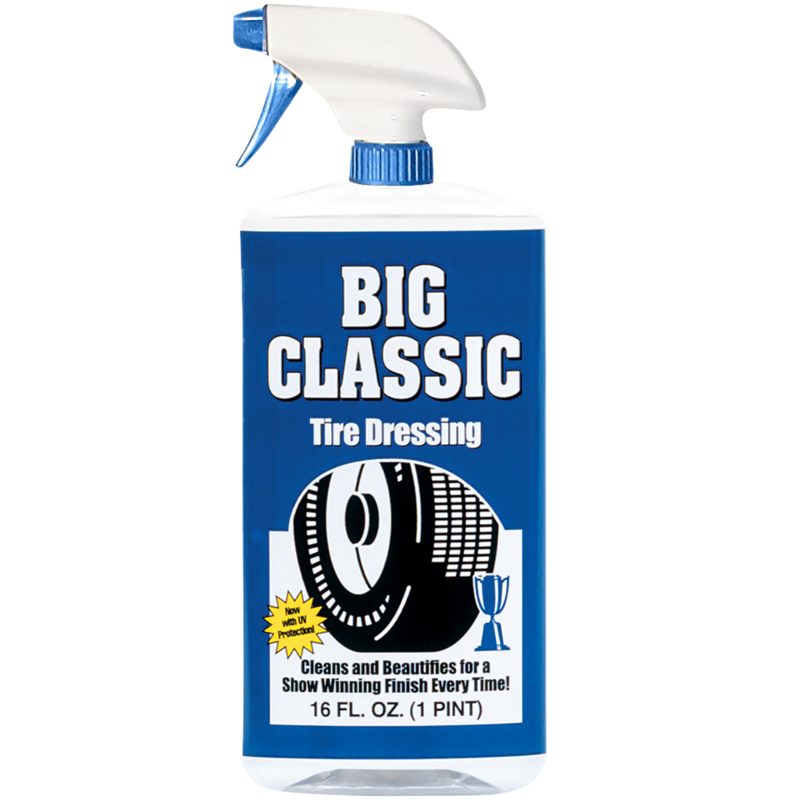 Big Classic is among the best tire dressing products on the market. Keep your tires looking great with this excellent tire dressing exclusively from Coker Tire Company. Big Classic has been formulated to give your tires a beautiful black finish without excess gloss. This is a non-silicone based dressing that includes UV protectant, great for use on black rubber. Use Wide White and Big Classic in combination for your show car detailing and save money when you purchase together as a combo! Does coker big classic tire dressing contain alcohol or petroleum products? Coker Tire Wide Whitewall Cleaner and Tire Dressing is citrus based and does not contain alcohol or petroleum products. Does wide white or big classic leave a gloss or satin finish on my tires? Both of these products leave a low shine, but they are not gloss products.